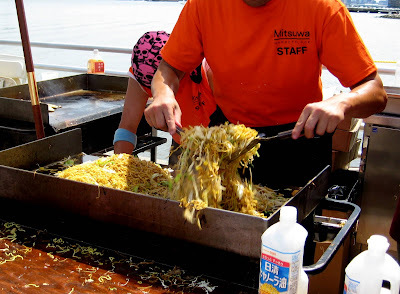 A giant heap of yakisoba. Whoo! 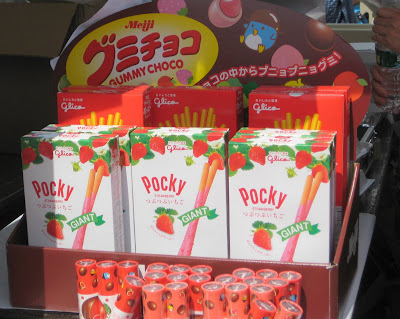 These pocky were absolutely ginormous. They were part of the prizes they were giving away for some of their really cute kid games. Lobster! They had whole lobster! And it was $10! 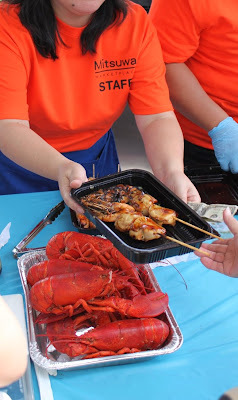 And all kinds of seafoods and meats on sticks. 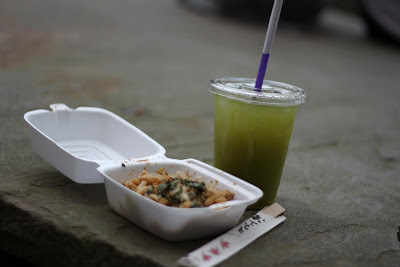 You can’t have japanese food without yakitori! 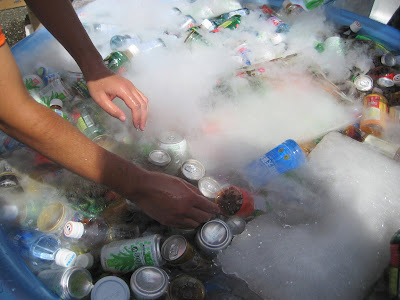 Dry ice makes kooky japanese drinks even that more appealing. 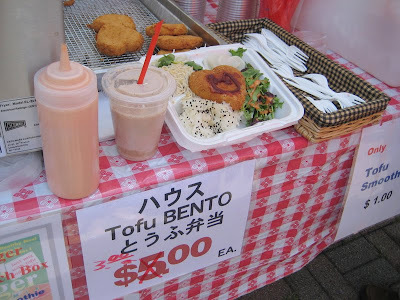 Later in the day, we had actual festival food. Some udon noodles. These were only $2! Down from $5 earlier in the day! And some iced green tea. Looks amazing! 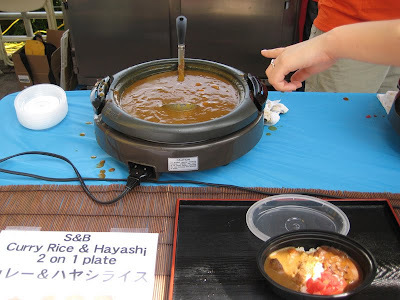 Mmm… japanese curry… my favorite kind… That’s not me pointing to it, but that’s what I’m thinking in my head. Gimme some! And then I got some… And it was amazing. 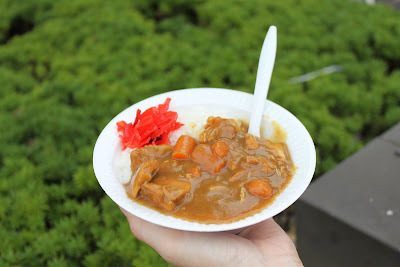 I got an extra huge helping because I actually got the last of the chicken curry. And the dude gave me every last drop that was in the pot. I love when that happens. 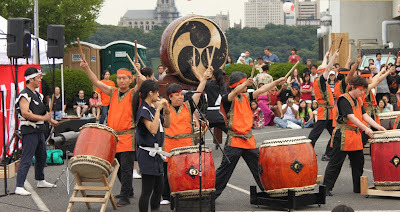 There was also a taiko band and some adorable old ladies in kimonos doing the bon dance. Despite it being absolutely packed, it was still a great time.